On the 31st of July 1944, Antoine de Saint-Exupéry disappeared over the Mediterranean Sea. With this mystery, a myth was born. Who was the man whose book The Little Prince was translated into more than 250 languages and dialects? The film looks back at different moments of his intense life with an ironic look on the myth. 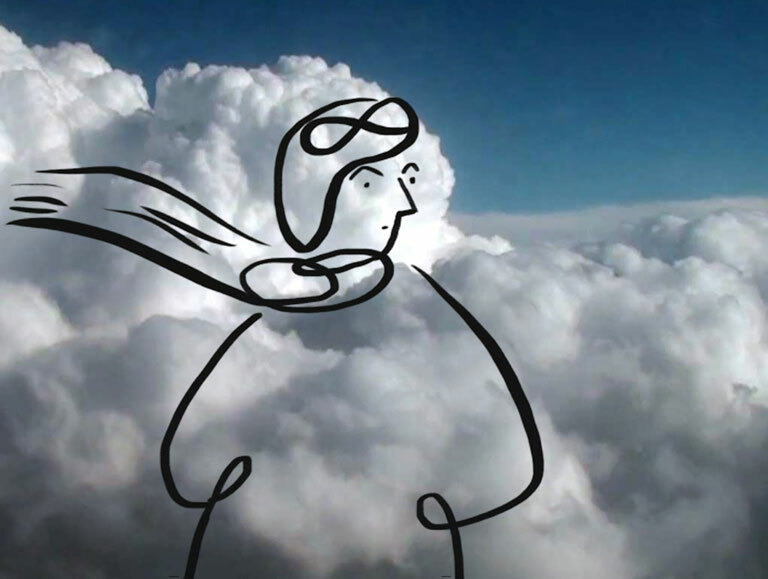 Film archives and « drawn archives » help narrate the story told over the course of a flight. Author: Andrès Jarach, Alain Moreau.